We got a little bit of a late start due to the rain. 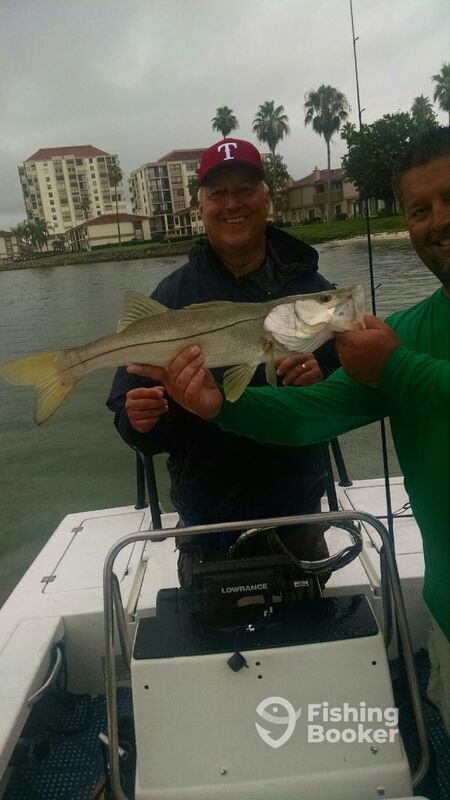 But with the barometric pressure dropping the bite was good.Every stop we were catching Redfish or Snook. Although we did get a little wet it was hard to move when your reeling in fish! Born and raised in the Tampa Bay area, Captain Roy grew up fishing with his father, grandfather, and brother. 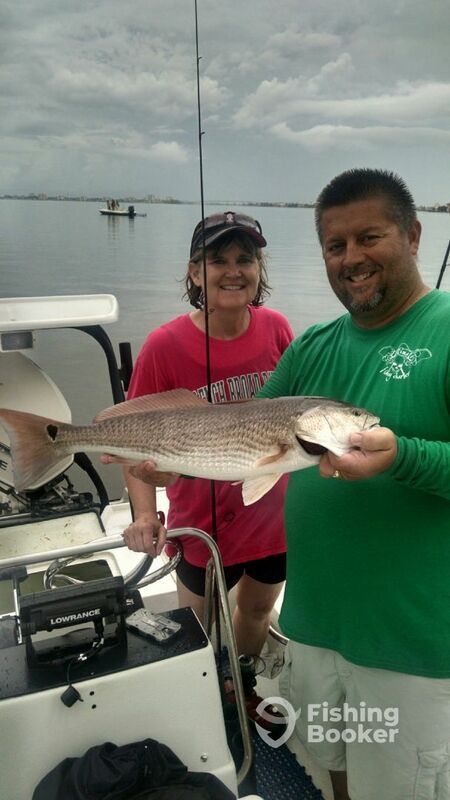 He has fished his entire life in the local waters of Tampa Bay, from Sarasota to Clearwater and everything in between. There are a lot of fish around right now snook redfish mangrove snapper. Don’t wait until it gets to cold book your trip today !!! !